A fresh set of Eduardo Paolozzi prints have recently entered the AA Archives’ collections, complimenting our existing folio of eleven screen prints (made between 1969-81). 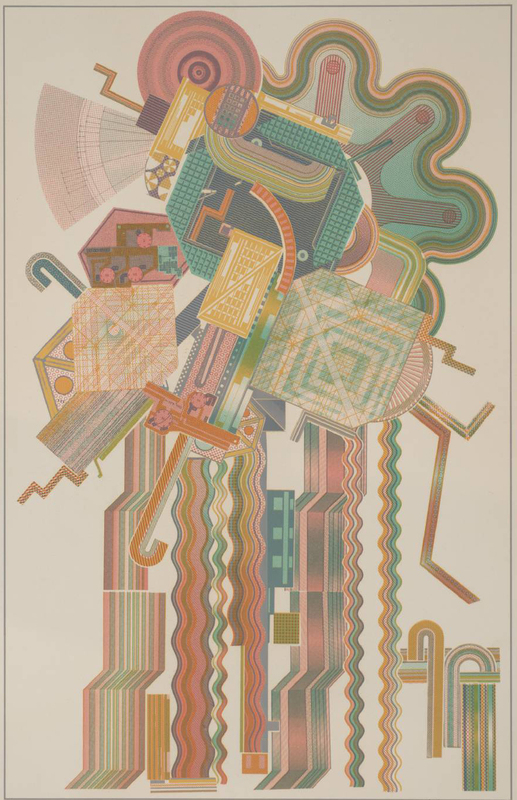 The prints were donated to the AA by Eduardo Paolozzi following their exhibition at the AA from 5-25 October 1981, together with ‘a boxed collection of early miscellaneous work’ (Bunk, set no. 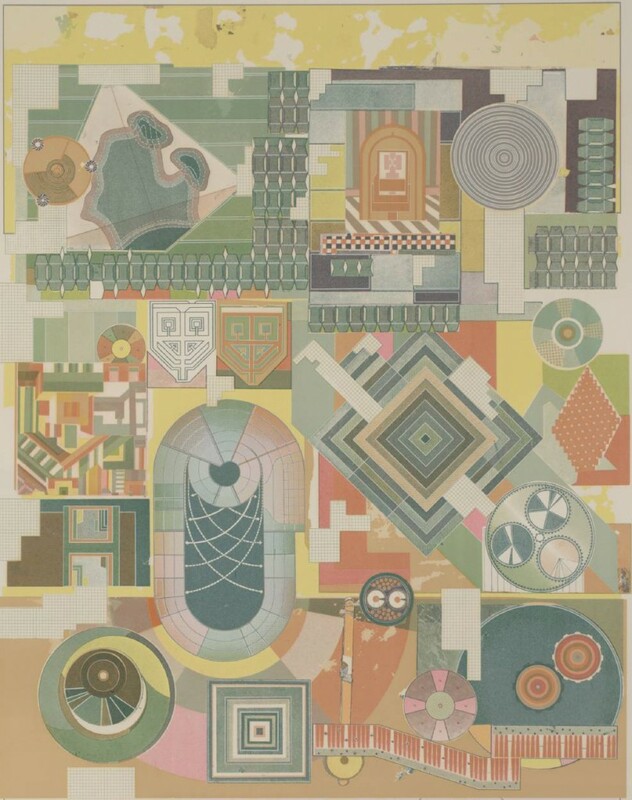 67/100, signed by the artist ‘For the A.A. Eduardo Paolozzi’, now in AA Library). The Council minutes record that that the AA formally recorded its appreciation of the gift by offering Paolozzi Honorary Membership of the AA. 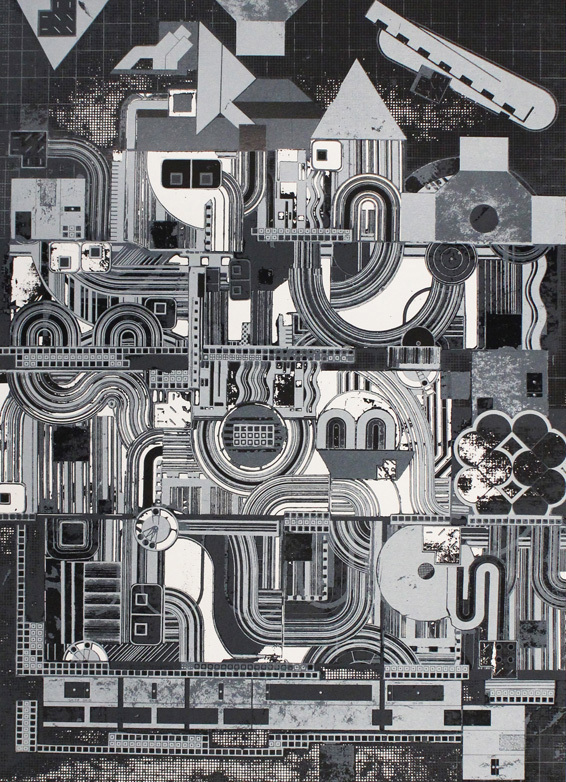 Paolozzi was an AA supporter for many years and participated in critiques and juries. He retired from the AA Council in 1986. The AA held several exhibitions on the work of Paolozzi in the 1980s including ‘Eduardo Paolozzi: private vision – public art’, held from 24 February-31 March 1984, see catalogue published by AA Publications. The AA also published a book, ‘Eduardo Paolozzi : underground design’, with an introductory essay by Peter Cook. This was produced to coincide with an exhibition of the project for murals for Tottenham Court Road underground station held at the Royal Academy of Arts in London from 4 February-3 March 1986 and a concurrent exhibition at the AA.